What if you look spooky enough the rest of the year, that you feel like just looking beautifully elegant with just a touch of the macabre, rather than going all-out horrifying? Here's a few lovely costumes you might enjoy wearing instead of blood-drenched gore-themed ones this year. This "Dark Medieval Maiden" costume is new for the 2016 Halloween holiday season, from InCharacter Costumes. The deep purple color of this "Roaring Beauty" costume makes me think it could work for some goth purposes. Too bad the lace isn't a spiderweb pattern, but close enough maybe? 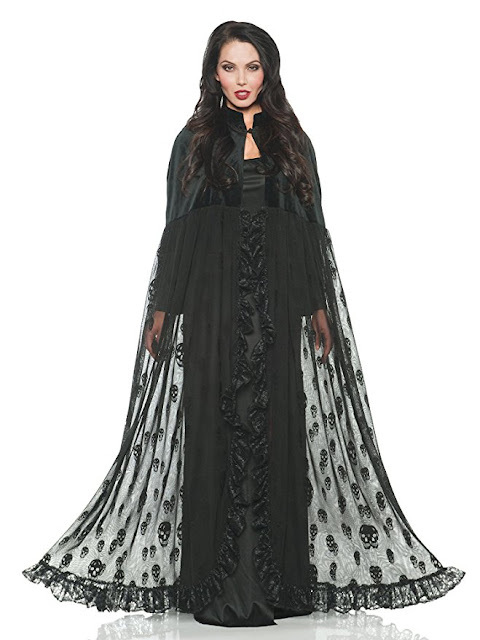 How about the subtle elegance and all-purpose easiness of this hooded witch cape? Probably quite comfortable. 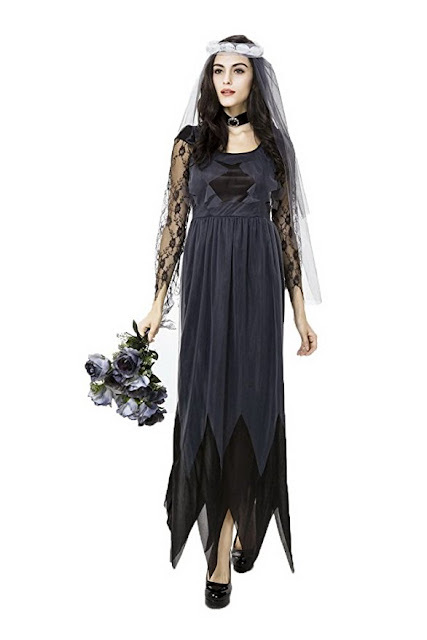 I feel this Ghostly Bride costume is somber, not scary. 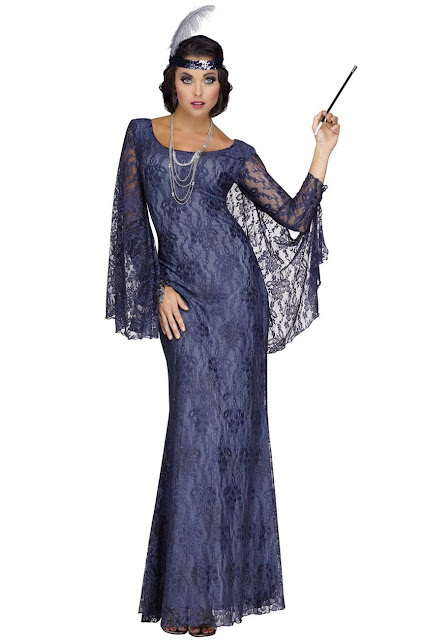 This velvet and lace costume is definitely leaning more towards the sinister side. It's so elegant though, I felt compelled to mention it. What do you think? Do you have any favorites? Let me know in our comments area below.